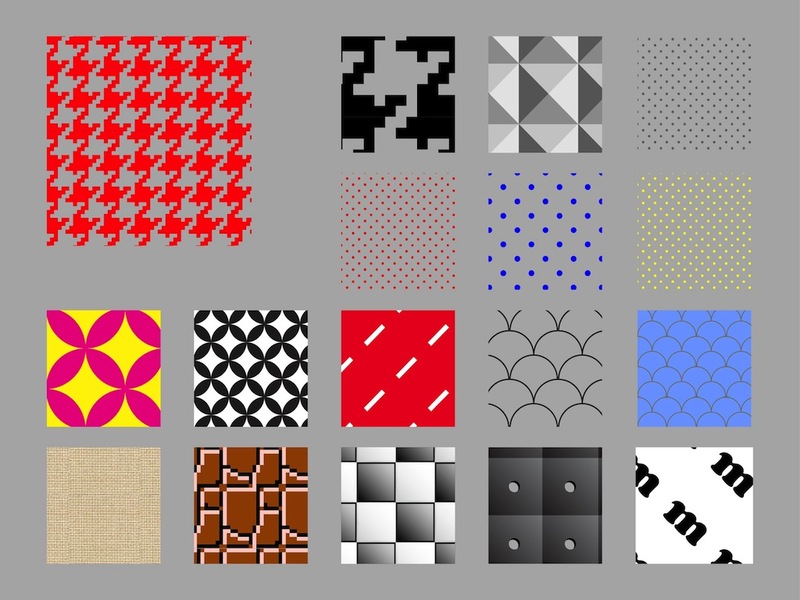 Vector image collection with square swatches for various seamless patterns. Great variety of colors and designs. Abstract clothing print templates, geometric shapes, polka dots, lines, floral motifs, fish scales, letters and 8-bit brick patterns. Free vector images for all kinds of wallpapers and backgrounds projects. Tags: Colors, Geometric, Pattern Vectors, Seamless Patterns, Swatches, Textiles.